Finally, after a very wet and cool few weeks, the world seems to be waking up again and we are starting to see productivity. Always using the same box! 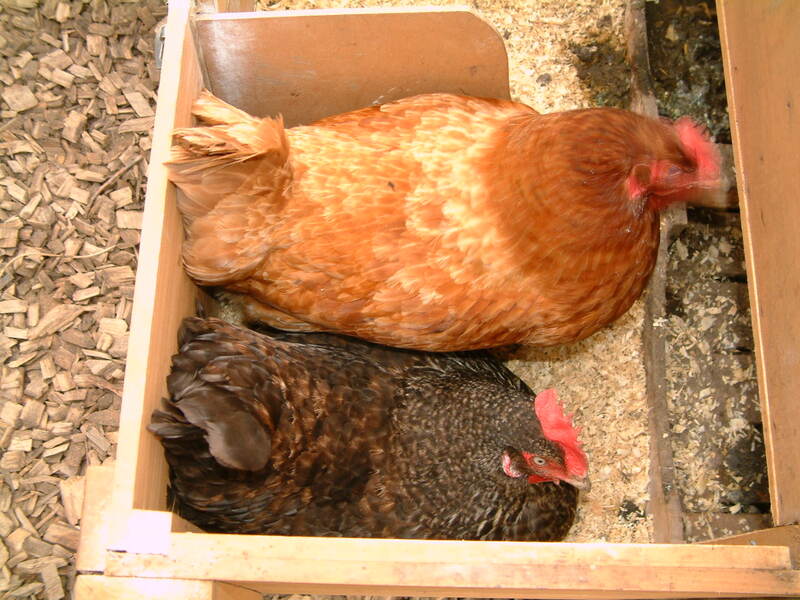 There is another perfectly good box, but they are not interested… they don’t even use it for sleeping in! 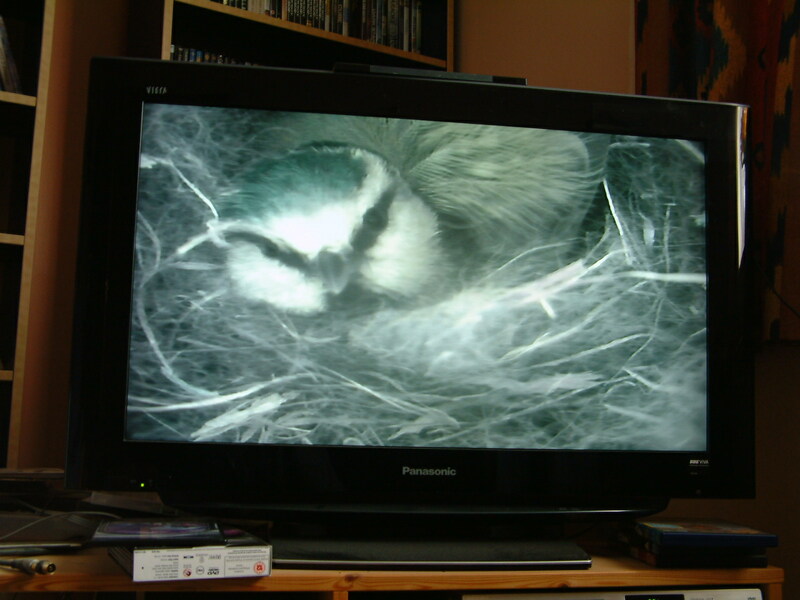 There (s)he is, on our tv screen… Mr S-o-h managed to count six eggs as she was rearranging them and the nest yesterday. I’m not sure when they will hatch, but once they do, watching them on the tv will be another way to waste lots of time! I’m also pleased to begin seeing insects again – an Orange-tip butterfly yesterday in the sunshine and a few bumblebees (one so large it was having problems getting out of the fruit cage!). However, the clouds are gathering again, so I think that we’ll have to wait a bit longer for spring proper to begin.